Mijas is a town in the province of Malaga and its centre is a typical Andalusian White-washed village located in the mountainside of Costa del Sol. 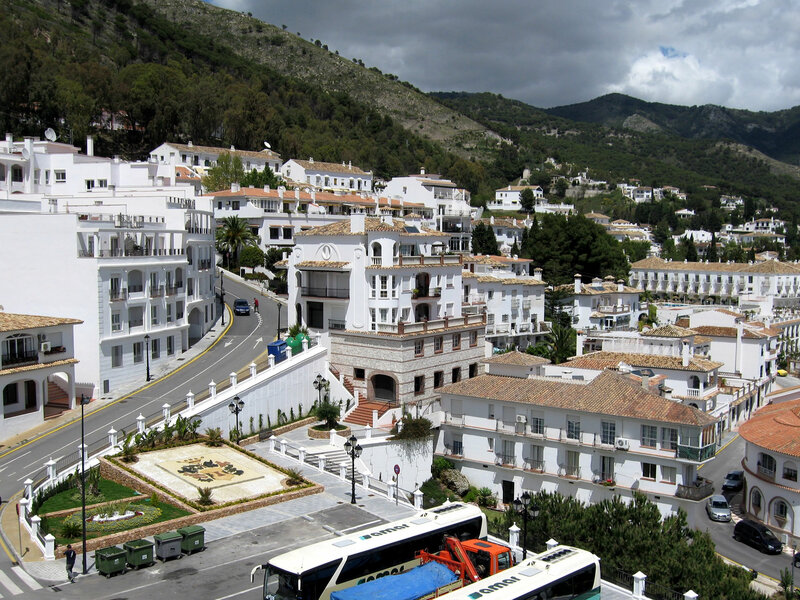 Mijas is a must visit town if you are holidaying or around Malaga or Marbella, it can be visited in one day so it’s perfect for day trip plans. With the typical Andalusian white look, this town is one of the most beautiful in the area and it keeps the old traditional look in the buildings and surroundings. The village of Mijas, declared a Historic-Artistic, extends along the side of the mountain of the same name. The old town retains the layout of Arab origin and the remains of its ancient walls are today an exceptional viewpoint with beautiful gardens. From this location you can get amazing panoramic views of the coast. The Church “Ermita de la Virgen de la Peña” is one of the main points of visit. Is a cave shrine carved into the rock between 1656 and 1682, to which has been added a sacristy irregular stone, trying to simulate a natural work. The bullfight ring “Plaza de Toros de Mijas” breaks all architectural canons as it sits on a rock, has an oval ring and a quadrangular exterior. It opened in 1900 and some ceramics on the outside wall recall the tasks of famous bullfighters. Another attraction in Mijas town is the “Burro taxi” or Donkey taxis that are a peculiar mode of transport has its origin in the sixties of last century. Many visitors liked to be photographed with the animals of the farm workers. And some even asked for a ride on their donkeys so the service was professionalized and is now a famous tourist attraction. There are many little souvenirs shops and cozy coffees and restaurants where you can enjoy nice meals or drinks overlooking the Mediterranean sea. It is typical to have the traditional “churros with chocolate” for breakfast or in the evening in one of the “cafeterias”. During the Christmas season, the “Belen” of Mijas is quite famous and one of the biggest ones in the province of Malaga. It shows the Nativity scene of Jesus Christ with miniature figures and many people visit the town in December especially to see this.